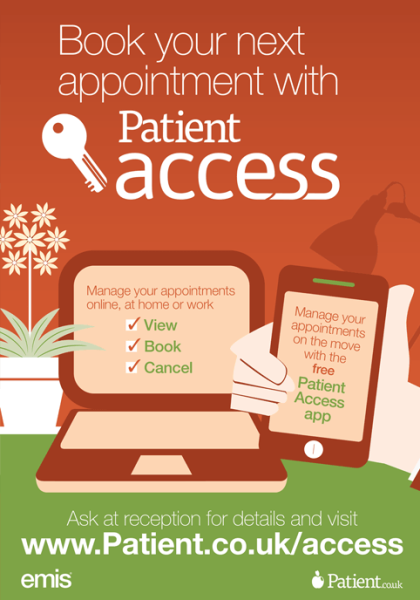 Enabling patients to book appointments, order repeat prescriptions (please allow 48 working hours) and view their medical record online. It provides a 24-hour online service that gives patients more flexibility and saves time for practices. If you have not yet registered for this service and would like to do so. Please speak to reception and they will provide you with an online registration form. It's quick, easy and your information is secure. Please note, to complete your registration you will need to provide the surgery with one proof of photo id.